The head of Turkey’s state aid agency on Saturday strongly criticized Israel’s use of deadly force against peaceful Palestinian protests in the Gaza Strip a day earlier. 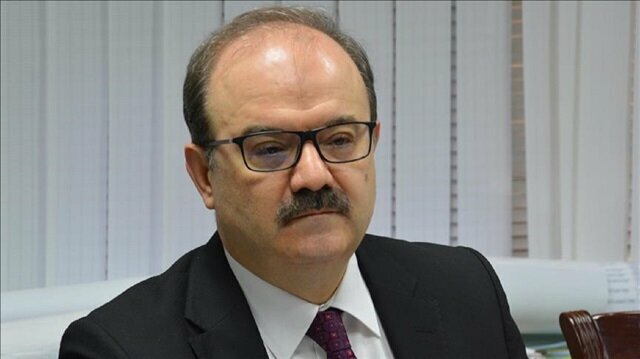 "Every attack of Israel on the oppressed Palestinians in a narrow territory full of humanitarian tragedies is a blow to its own future," Serdar Cam, who heads the Turkish Cooperation and Coordination Agency (TIKA), said on Twitter. On Friday, at least 15 Palestinians were martyred and hundreds injured by Israeli gunfire during rallies marking “Land Day”, an annual Palestinian commemoration of the deaths of six Arab Israeli citizens killed by Israeli forces in 1976, during demonstrations over government land confiscations in northern Israel. Criticizing Israel's policy on Jerusalem, Cam accused it of carrying out a misguided policy which harms Jews not only in Israel but all around the world. He said as Turkey is trying to address Gaza’s humanitarian crisis by building houses, hospitals and wells and educating people, it has faced false accusations. The accusations come “even though they know the aid is for the benefit of Palestinians," he added. Friday’s rallies were the start of a six-week protest that culminates on May 15, the day the Palestinians call “Nakba,” or “Catastrophe,” when Israel was founded in 1948. The demonstrators are demanding that Palestinian refugees be allowed the right of return to towns and villages which their families fled from, or were driven out of, when the state of Israel was founded. Cam said Western countries have long sought to use Jews for their own purposes, saying: "Contrary to popular belief, the West actually uses Israel for its own ends, otherwise how could a wise state be governed in such a way?" He added: “Education, health, freedom, justice, and peace must come equally to these lands very quickly." He said Turkey works hard for development and economic welfare while fighting terrorism with its all institutions everywhere, especially in the Middle East. Cam also said TIKA would continue to develop projects together with their Ramallah office. “We will continue to develop projects to bring development and peace to the region under the opportunities and instructions that our government has given to us,” he said, adding that all such projects have been carried out with the knowledge and approval of the Ramallah government. “There is one Palestine and its leader is the esteemed [President] Mahmoud Abbas, and all Palestinians are our brothers,” Cam added. Cam stressed that TIKA tries to contribute to relations in a way that benefits the Palestinians.